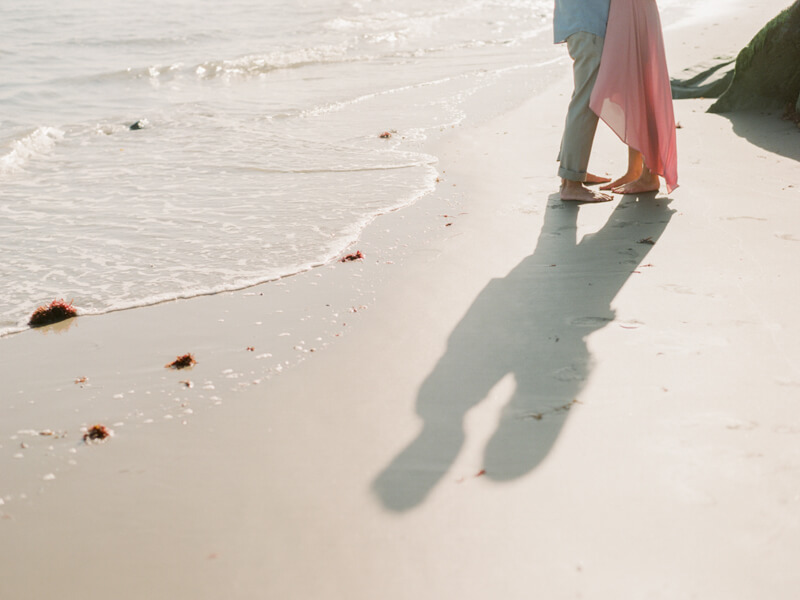 Santa Barbara Engagement - Fine Art Film. 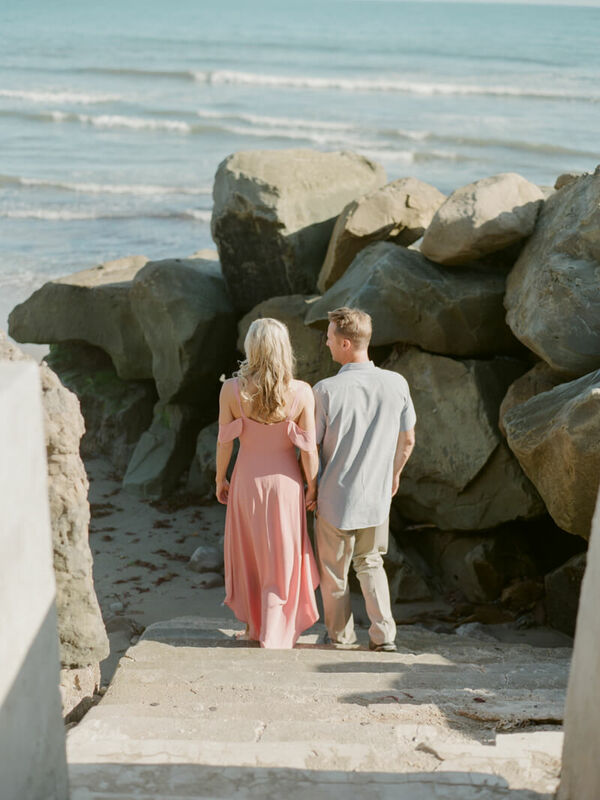 From the Bride: Sean and I feel very fortunate to have been introduced by good friends, although our relationship really blossomed and grew into what is today through our mutual love for the ocean. We first met at an art show in the Funk Zone of Santa Barbara. Initially, I was a bit hesitant when I first met Sean, due to my own insecurities and I believe he was a bit nervous as well. Soon after we first met, Sean invited me to go surfing at The Hollister Ranch. The Hollister Ranch is not your average place to go surfing. Since we were not property owners we had to essentially sneak in by boat, which meant launching a small boat from the beach and a 40-minute bumpy ride to get to the surf spot. The waves were really good and at times on the bigger side, I always joke with Sean and wonder, what if I couldn’t handle it? Although, he says he just had a feeling I could handle a solid day of surfing. 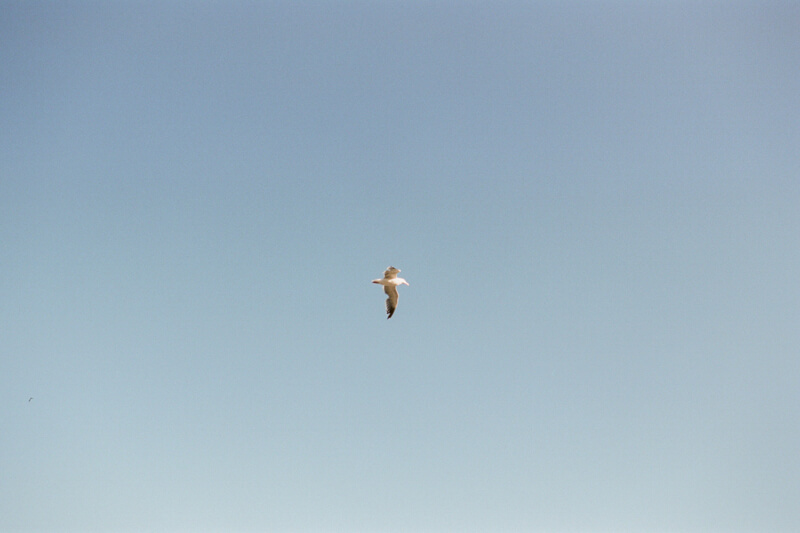 With us both in our comfort zone of the ocean, we talked at length and traded waves for hours. Then on the boat ride back, it just hit me so hard that there was something so special about this guy. For the longest time, I just played it off that I was on such a high from a great day of surfing, although as our relationship progressed it made so much more sense to me that indeed that day of surfing was great, but I had a feeling that day that Sean was truly the right partner for me. The ocean and surfing have been such a huge part of both of our lives. Our families grew up going to the beach, surfing and swimming in the ocean ever since we were little. Sean and I feel so at home on the beach and in the ocean and it is so amazing to share that with each other. Over the years our vacations, family get-togethers and any free time we have we tend to spend it either surfing or doing something at the beach. For Sean and I our relationship was certainly taken to another level when we began adventuring out to the Channel Islands. We have had countless trips out there for the day and even camping for a night, all of which have been so incredible. 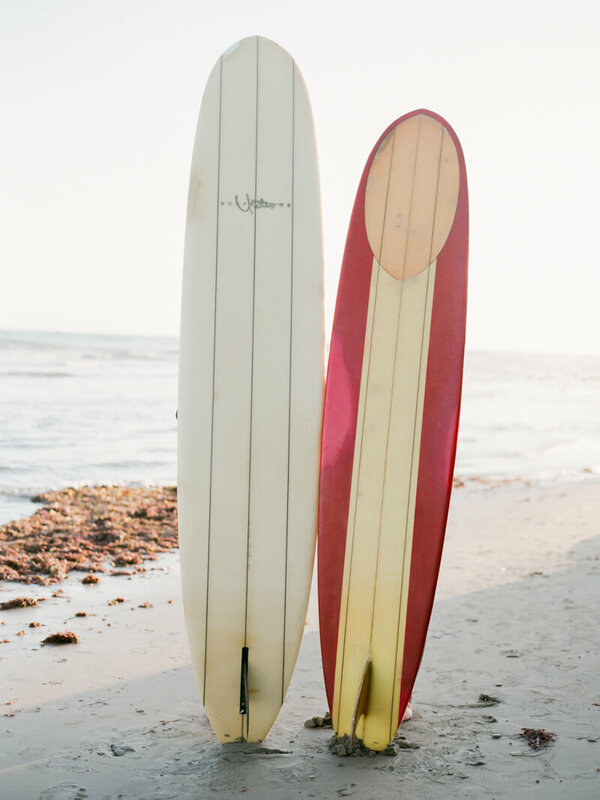 The Channel Islands are our playground, where we surf, swim, fish and hike all over the island. Through our trips to The Channel Islands, we developed such a strong connection and understanding of each other as we got to spend our time away from distractions, really enjoying being with each other and doing what we love to do together. Fast forward four years and many wonderful surfing trips to the Channel Islands, on one of those trips to Santa Cruz Island after a beautiful morning of surfing and fishing Sean proposed to me on the beach at Pelican Cove. Of course I said yes and here we are today. I often feel as if a relationship is very similar to surfing and the ocean. There are many days that are so wonderful, beautiful and you catch great waves, but then there are the days that are stormy, cold or you hardly get any waves. Ultimately, I always feel better once I have gone in the ocean no matter how it happens to be that day; the ocean has a way of doing that. Then in a relationship there are the really good days and then there are the really challenging days, although as long as you are together and are able to weather through the tough days, there are always good days ahead in the future.